Just like in OCS with Lync you can add distribution lists to your contact list. However, there is a default limitation on how many groups you can add to your list. 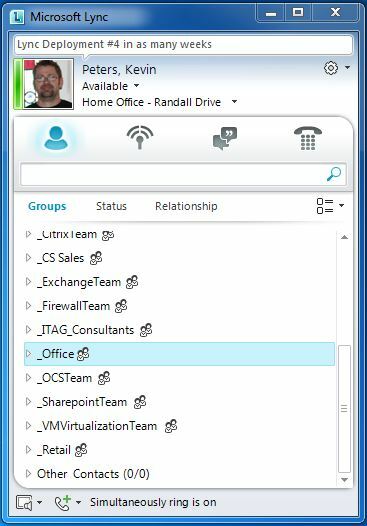 In Lync and OCS that limit is 10, which at a recent deployment wasn’t quite enough for all the teams that certain users may need to have on their contact list. The client used these lists for a number of business functions and would like the limitation to be removed. To start off let’s look at my contact list with 10 distribution lists already added to it. Now I’ll search for a new distribution list and try to add it to my contact list. After signing out and back in I can now add additional distribution lists to my contact list. 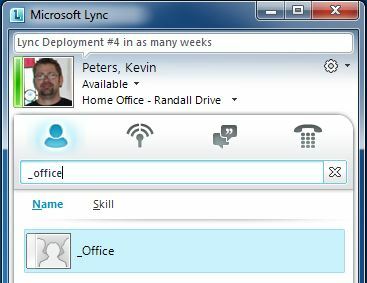 This entry was posted in Uncategorized and tagged Distribution Lists Lync, Lync, Lync 2010, The Contact list already contains the maximum number of distribution groups. Bookmark the permalink. Can you explain please how to create group? i`ve travel across the web and cannot find solution… Your issue was limitation of 10 groups, but mine is i canot create them at all (((( Help! You would just need to create distribution lists in Active Directory or Exchange. Once those are created and the address book updates you will be able to select any of your distribution lists.